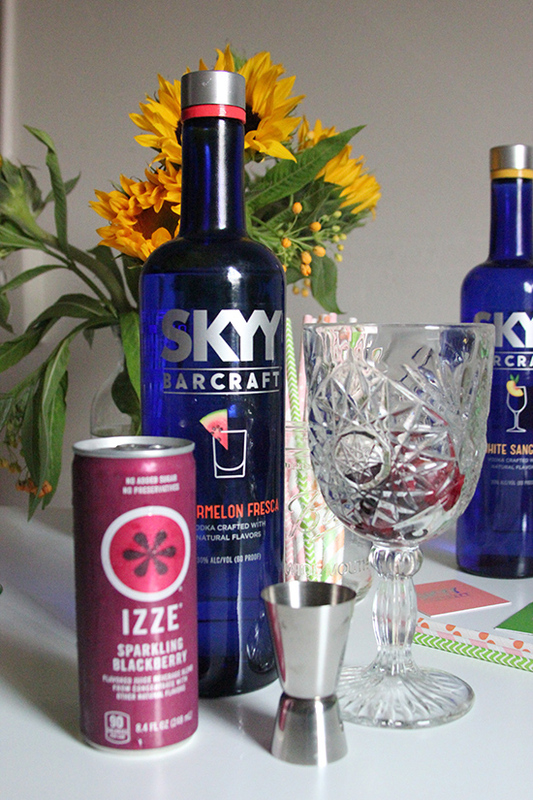 Do you ever struggle coming up with your own cocktail recipe? Well, I am here to show you just how easy it is to make your own drink thanks to SKYY Barcraft. 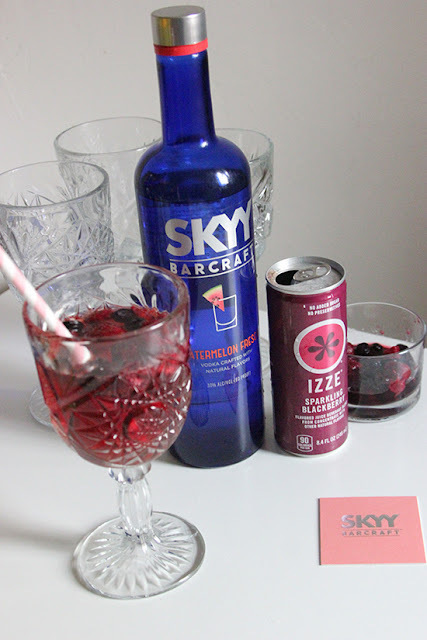 I experienced SKYY Barcraft at a party a couple of months ago, and ever since then, I loved their taste and how easy it is to mix it with your favorite carbonated drink. 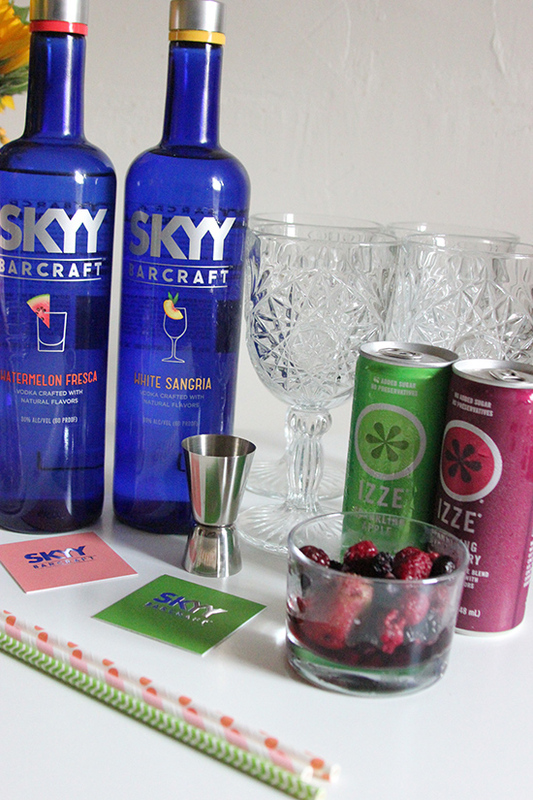 The best part is that its simplicity allows you to focus on garnishing and putting a creative spin on your drink. Add one part SKYY Barcraft to two parts Izze Sparkling juice over frozen berries. 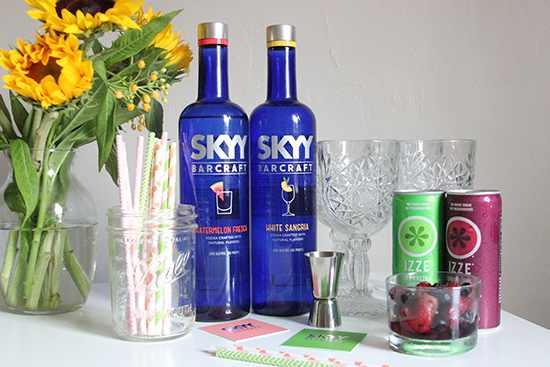 To make your own drink using SKYY Barcraft, all you have to do is add one part SKYY Barcraft to two parts club soda over ice. 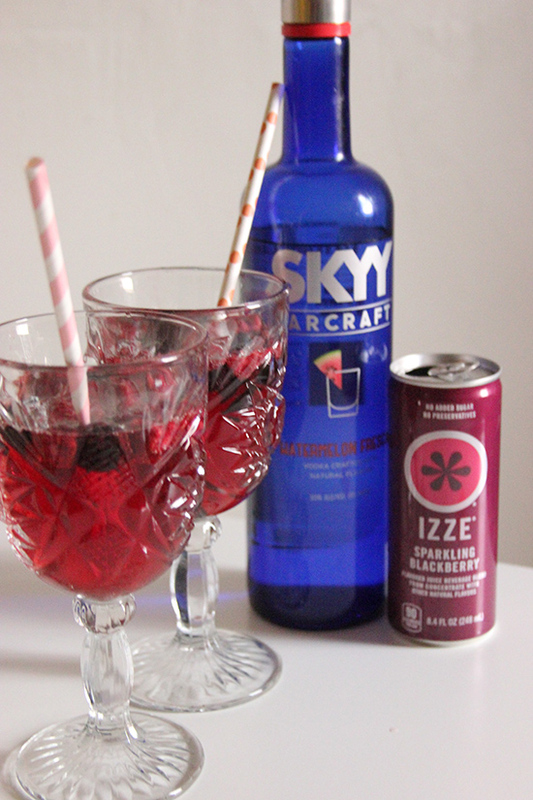 For the Watermelon Fresca bottle, I opted to use Frozen Berries as my ice and 2 parts of Izze Sparkling Blackberry as my "club soda". 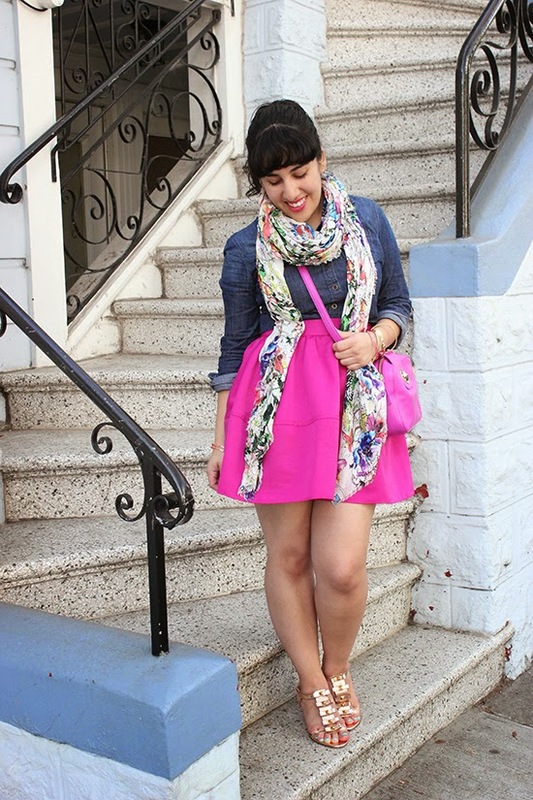 The mixture of Watermelon and Blackberry reminds me of an Agua Fresca and is sweet and refreshing. 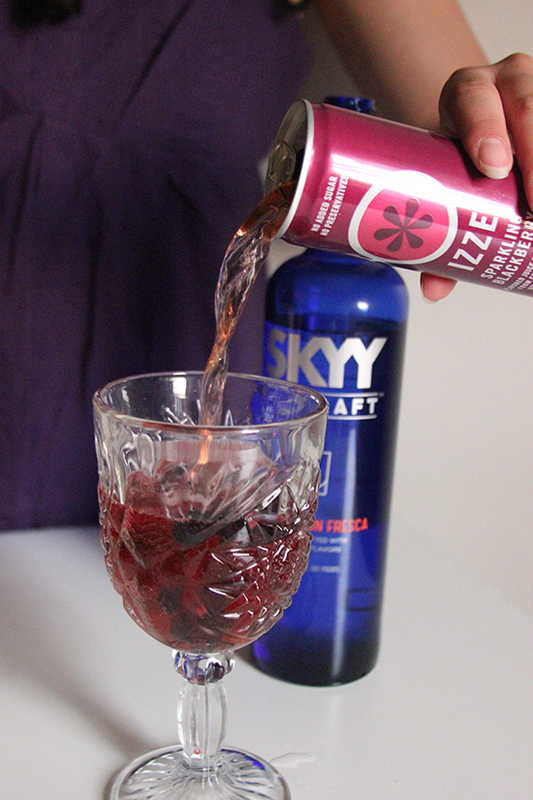 I utilized the frozen berries as ice and garnish, but they make a great garnish on a cocktail umbrella or toothpick if you opted to you use ice instead. 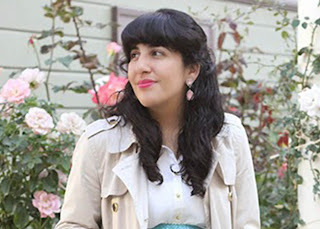 I plan on sharing another recipe using the White Sangria in an upcoming post. I recently have been really into glassware and found the goblets I used in this post at a thrift store. Aren't they amazing? 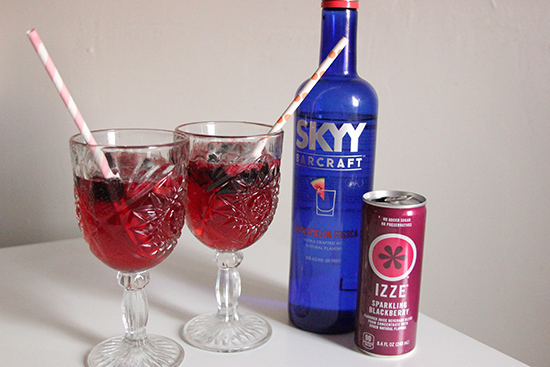 Glassware is an important part of the presentation and having cute straws doesn't hurt. Let me know what you think of this cocktail recipe and if you have tried SKYY Barcraft Watermelon Fresca! 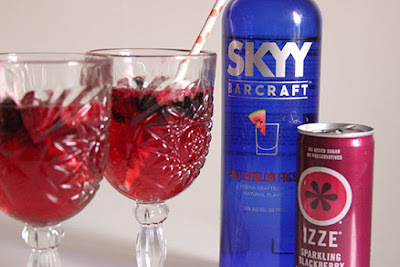 Disclosure: This post is sponsored by SKYY Barcraft. All opinions and views expressed are my own.